HARTFORD - One of the Newington business community’s largest annual events is set for next weekend. 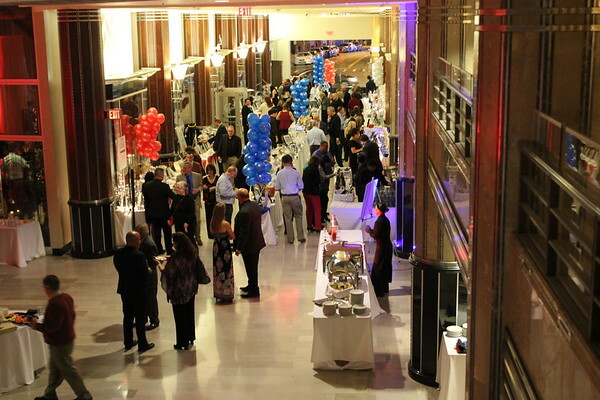 The Historic G. Fox Building in Hartford will host the Newington Chamber of Commerce’s 15th annual Silent Auction, Wine Tasting and Chocolate Challenge on Saturday, Nov. 3. Doors open at 6:30 p.m.
“We expect between 350 and 400 people will attend this year; it’s going to be a huge event,” Chairwoman Kathy Braga said this week. 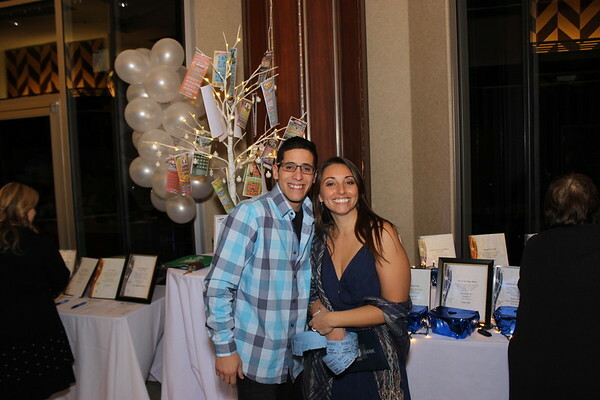 The evening will feature DJ entertainment, a wine tasting sponsored by Newington vendors and a buffet dinner of carving stations, pasta, hors d’oeuvres, cash bar and espresso bar. 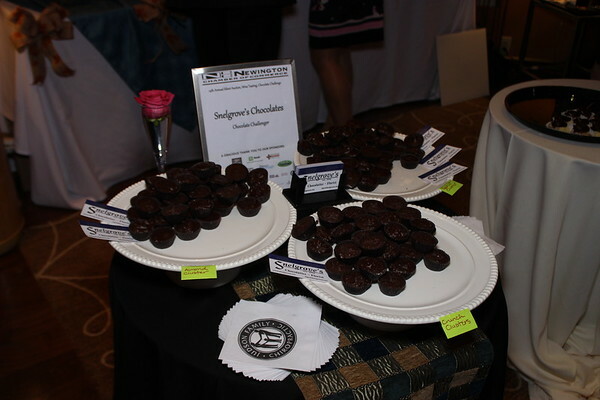 The Chocolate Challenge will pit cocoa creations of local bakers against each other. Guests will be encouraged to sample a variety of desserts and vote for their favorite. A winner will be announced at the end of the evening. Café Louise, The Kakery and Middlewoods of Newington are among this year’s contenders. Louise Albin and Café Louise pastry chef Sara McCabe plan to present a special creation. So what exactly goes into a winning chocolate dish? “Really good quality chocolate, time, patience, and lots of love,” Albin said. The highlight of the evening is a Silent Auction with 250-plus items donated by local families, businesses and community groups. People are encouraged to donate by Oct. 26, so items can be included in the auction program. Suggested donations are gift certificates, event tickets, sports memorabilia, professional services, trip packages, gift baskets and one-of-a-kind experiences. Donations valued at $250 or more will earn a donor two complimentary tickets to the event. There will also be a ‘balloon pop’ for prizes, a tea cup raffle, and a Lottery tree. Event proceeds will go toward the chamber’s Scholarship Fund, which awards scholarships to two Newington High School seniors each spring, as well as the school’s Lunch and Learn program. “Members of businesses go to the high school at lunchtime and share their experiences,” chamber Executive Director Gail Whitney explained of this chamber-sponsored initiative. Students in NHS’ Career Academies taking finance, business management, information technologies, biomedical and aerospace studies benefit from this interaction with professionals in their desired career field. Regular tickets are $60 before Oct. 31, $550 for a table of ten or $75 at the door. New this year is a VIP section, with an exclusive open bar from 7-9 p.m., private Mediterranean food table and complimentary bottles of red and white wine for a table, along with exclusive restrooms, servers and seating. VIP tickets are $110 per person or $1050 for a table of ten. This year’s sponsors are Dr. Paul Leckowicz, C&C Janitorial Supplies, B&M Tree Service, Direct Advantage Magazine, Turnpike Motors Autobody, American Eagle Federal Credit Union, Middlewoods of Newington, Del Soul Spa, Flowers, etc., Newington Wine Cellar, Pronto Printer, Physical Therapy & Sports Medicine Centers, Barter Business Unlimited, Data Mail, Geico, ServPro and MedCare Urgent Express. WHEN: Saturday, November 3, 6:30 p.m.
HOW: Purchase tickets at the Newington Chamber of Commerce, 1046 Main St.
Posted in Newington Town Crier, Newington News on Thursday, 25 October 2018 08:53. Updated: Thursday, 25 October 2018 08:56.